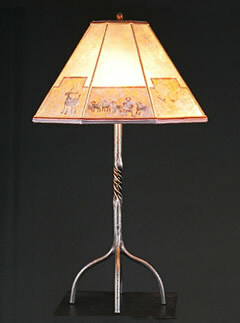 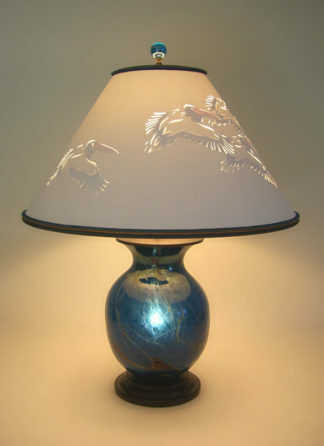 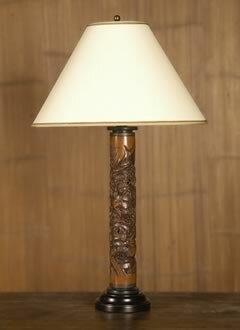 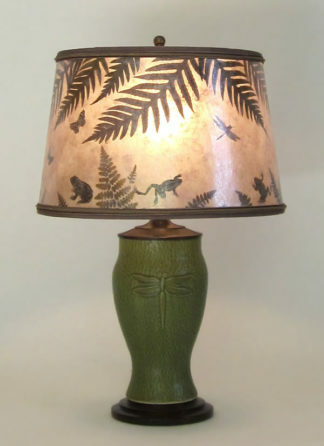 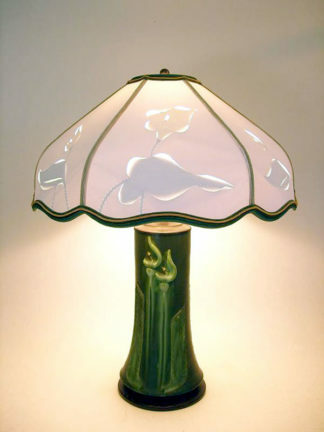 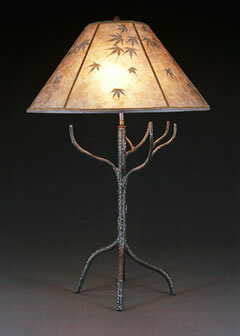 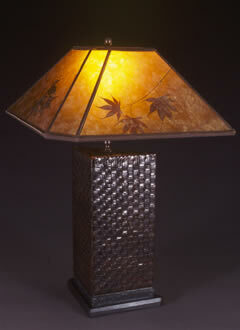 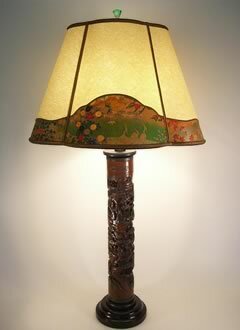 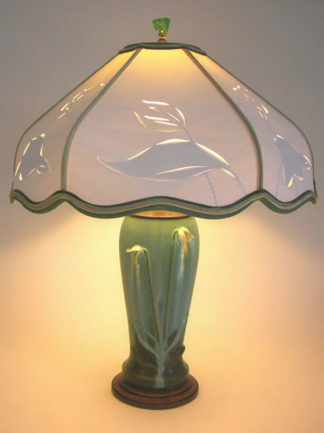 Unfortunately these lamps are no longer available, but the lamp shades can be made. 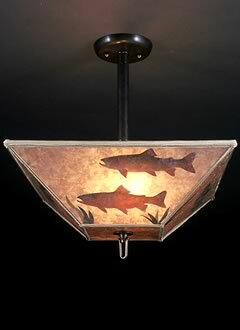 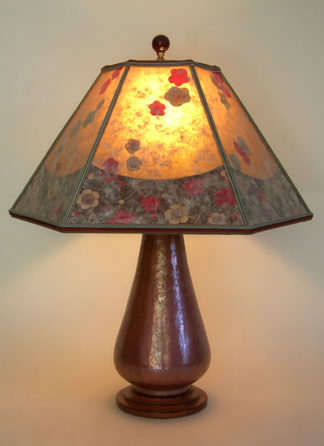 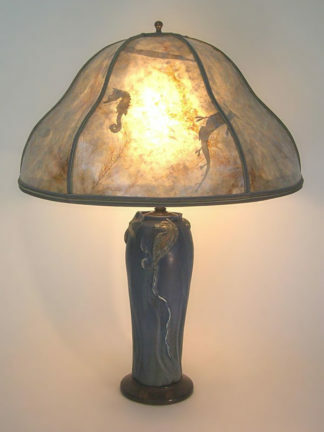 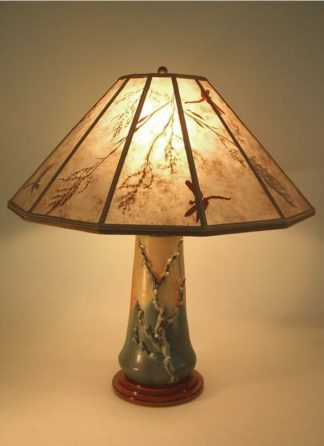 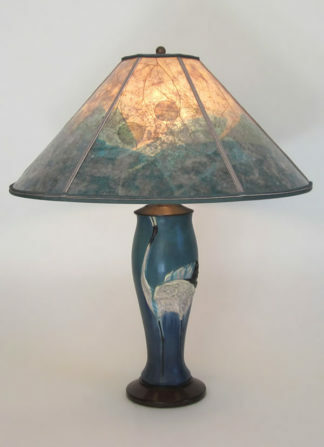 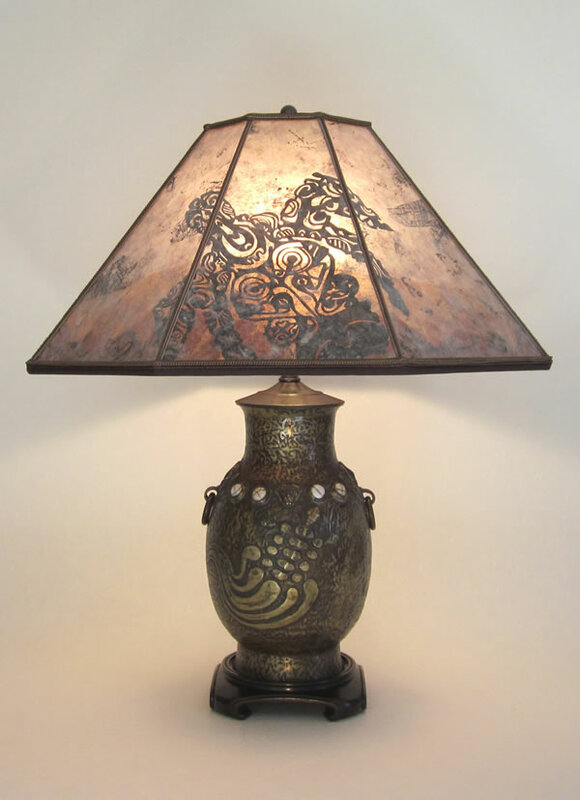 We hope you find inspiration in the combinations of lamp and shade that you find here; perhaps you have an unusual or antique lamp that needs a special lamp shade. 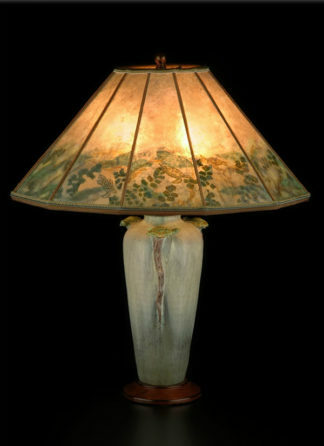 Many of the antique pieces, in particular, feature more unusually shaped shades and custom designs that can be adapted for other pieces. 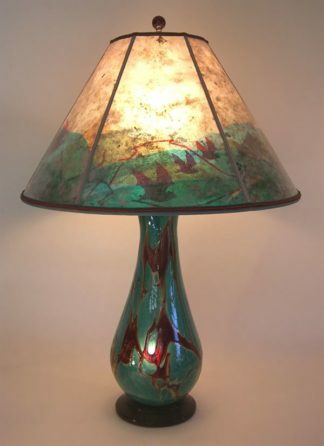 Chaos Art Glass Table Lamp and Art Mica Lampshade Bats!